This week Apple announced that their iOS App Store is getting incredibly close to reaching a very important milestone: 25 billion downloads. This is a very huge accomplishment for Apple and it is not surprising to find that they are celebrating it very proudly already. The App Store has only been around since 2008 so to achieve 25 billion downloads already Apple has to have been seeing some incredibly high daily download numbers. As part of the celebration for reach 25 billion Apple is even giving away a pretty significant prize. 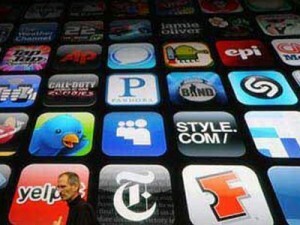 Whoever downloads the 25 billionth app will receive an incredible prize from Apple; a $10,000 App Store gift card to use. The odds of actually winning are obviously quite slim but the fact that Apple is going to offer such a large prize is still quite impressive. Apple is going to automatically control everything to so there is no need to enter into a contest or fill out any forms; simply downloading an app is all it takes to be eligible to win. If you want a shot at winning Apple’s $10,000 App Store gift card then now is the time to start downloading some apps. You can’t win unless you happen to be the lucky person responsible for the 25 billionth download so now is the time to start trying. It might be a few weeks before the App Store makes it to 25 billion downloads but Apple is still incredibly proud to be able to say just how close they already are to this incredibly impressive milestone. As iOS users continue to grow these milestones are only going to get larger and larger so it should be very interesting to see just how many downloads Apple gets to in the next few years.